You heard right true believers! Marvel has announced that best-selling author David Liss and artist Francesco Francavilla will be the launch team for the all-new Black Panther: The Man Without Fear this December! 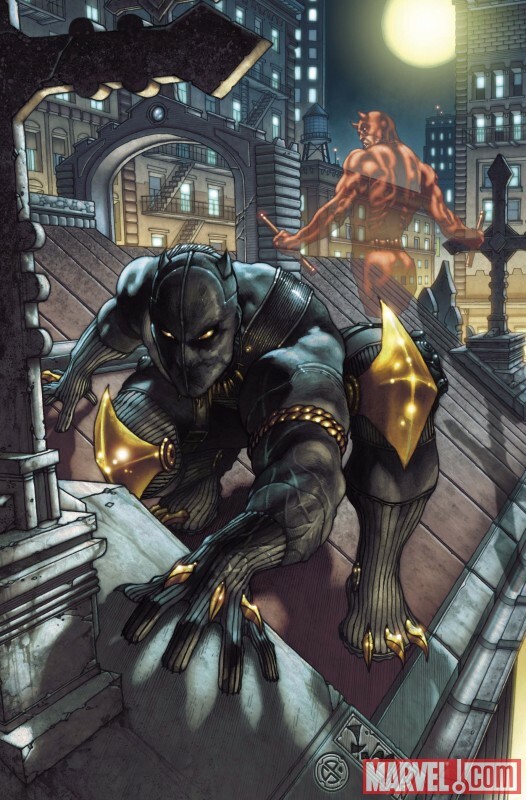 "The smoke has cleared from the ruins of Shadowland and a new protector of Hell’s Kitchen is on the prowl. His name is T’Challa, the Blank Panther! In a city without Daredevil and a dangerous new foe called Vlad the Impaler consolidating power in the underworld, the Black Panther must learn to become a new type of hero. Without his riches, his technology, and his kingdom can T’Challa truly be the man without fear? Find out in Black Panther: The Man Without Fear #513!"